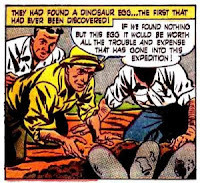 Roy Chapman Andrews was not only an intrepid explorer and palaeontologist, but also a gifted promoter. The Central Asiatic Expeditions in search of fossils of mammals and dinosaurs were accompanied by movie cameras to film their work. As the conditions were most time prohibitive -sandstorms, burning sun and arid climate - many scenes showing the discovery and excavation of fossils were probably staged after the real work had be done. Many photos of the expedition-photograph John B. Shackelford show dinosaur nests filled with "Protoceratops*"eggs (*in fact Oviraptor eggs), superbly preserved. It seems unlikely that the eggs were in such good shape when first discovered. More strange is the common notion in popular culture that the nests contained exactly a dozen of eggs, believe probably influenced by photos of reconstructed nests. 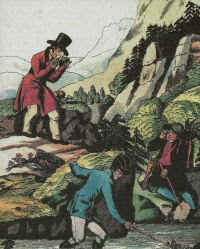 In fact in Andrews's descriptions the number of eggs per nests varies, from three to nine, only in one case he mentions thirteen eggs, however embedded in a block of sediment. Fig.2. 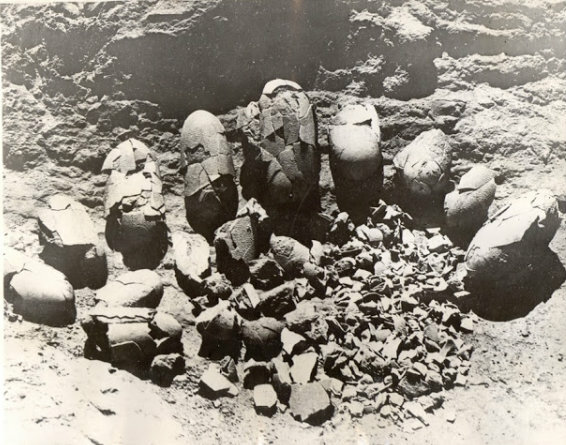 Original 1923 photograph of dinosaur eggs found at the Flaming Cliffs. Fig.1 from True Comics #81, Parents’ Magazine Press (1950).